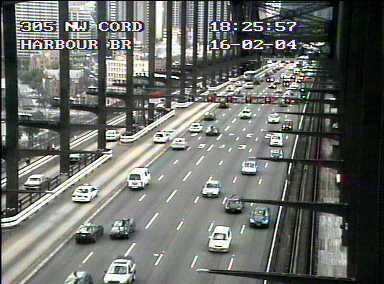 The Sydney Harbour Bridge is an incredible icon, not just of design but also of the truly genius foresight of the man who designed it. Here are some stories I recently heard that I personally find pretty amazing. Picture it like this. The bridge was designed in the 1920’s, and built in the 1930’s. It was designed to be able to cope with a city of 3 million people, even though Sydney at the time had a population of barely 1 million. There is a tunnel now, but the bridge is still able to cope with a city that is now almost 5 million people in size. Over 6 million rivets were used in the construction. Why so many? Well, actually most are ornamental. Again, thats a pretty significant bit of forward planning. 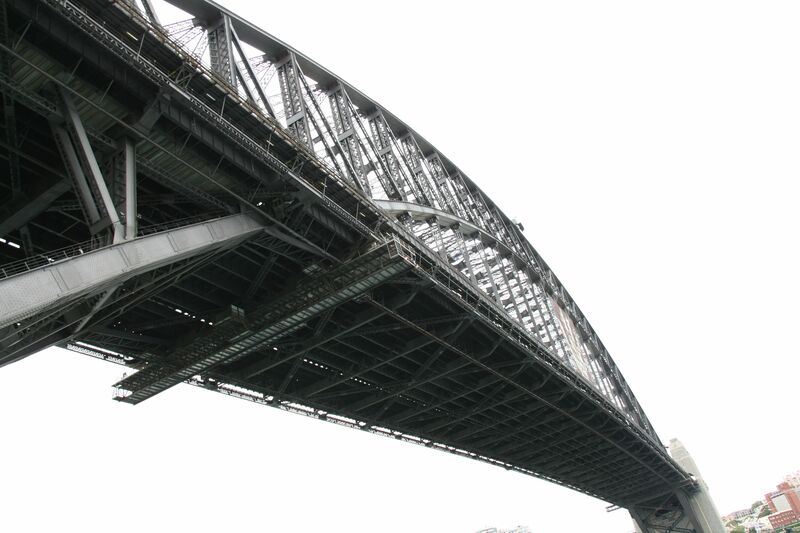 If you have done the Bridge Climb as I did recently, you will appreciate the aesthetic of perfectly aligned rivets. But back then? During the construction13 people died. Thats not very many considering how many died in the construction of American Sky scrapers built around that time. There was a famous story of one worked, a trained diver, who fell from the great span. He survived by dropping his hammer in the water as he was about to land (knowing that you need to break the surface of the water if you want any chance of survival. When he was fished out of the water, his boots were wrapped around the top of his thighs, do strong had been the impact when he hit the water feet first. He was back at work 2 weeks later. The bridge now has 8 lanes for cars, 2 for trains and a pedestrian walkway on one side. 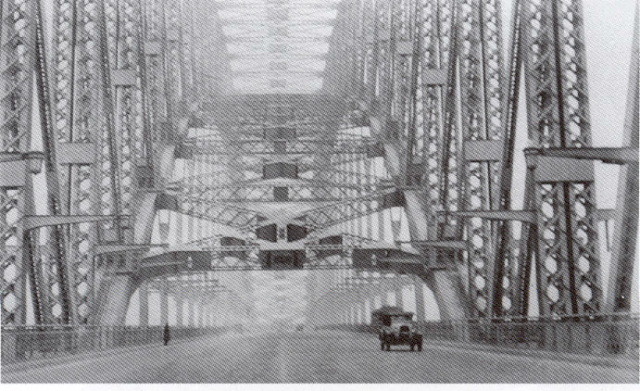 It was not always like this though, and the original toll structure gives a hint as to what the above picture would have looked like when the bridge first opened. Can you imagine the site of someone trying to count the number of sheep in your herd in order to calculate the toll properly? I’ve been living in Sydney for 6 years and still often find myself mesmerised by the bridge. With so much natural beauty around the harbour it takes something pretty special to hold your attention the way it does.